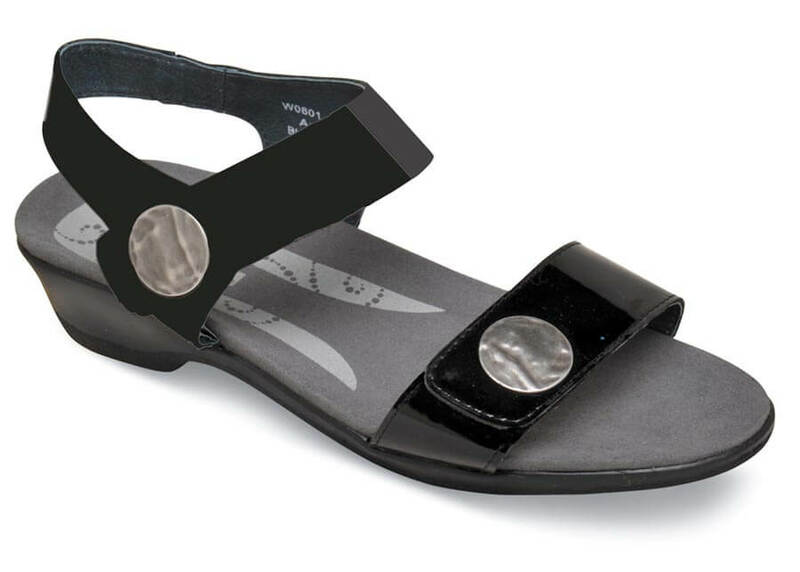 The Rejuve Motion Technology™ topsole in Propét's black "Annika" sandal gives you an extra measure of comfort. A unique U-shaped heel seat provides medial and lateral support that guides your foot during movement. Two patent leather straps adjust with self-securing hook-and-loop closures. 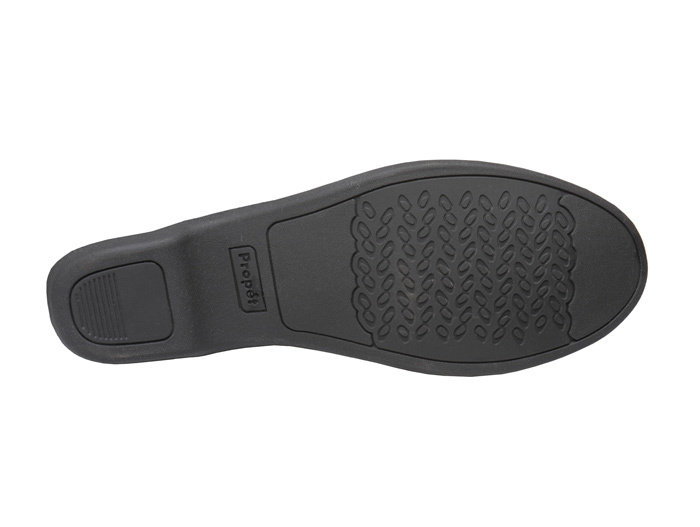 The thermal rubber unit sole has 1½-inch heel height. Originally $89.95. Limited stock in women's sizes 6-10 and 11 in 2E width.